Click here for a special klezmer master class on October 24! What is a Simcha band? Simcha is a Jewish experience of Joy. 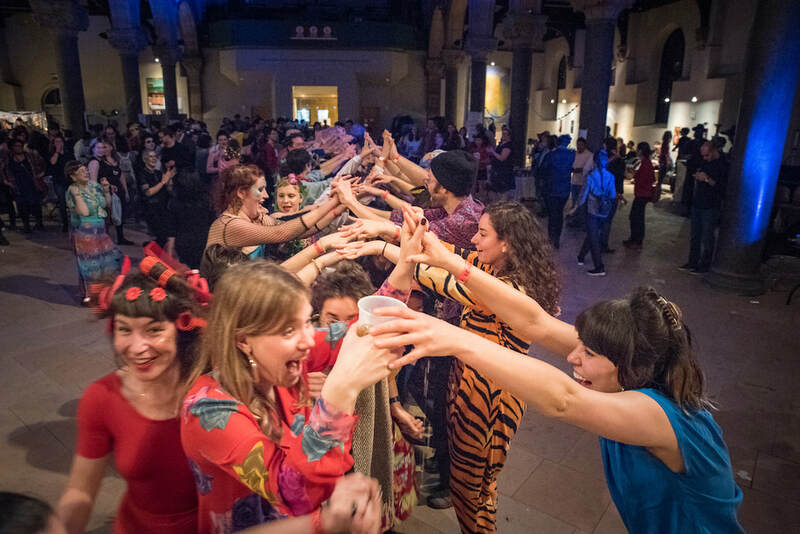 Kol Tzedek's Simcha Band brings together klezmer music and Yiddish culture to create space for communal celebration and dancing. Guided by the direction of Dan Blacksberg, the KT Simcha Band plays live music on Simchat Torah, Hanukkah, and Purim, and upon request! Absolutely everyone is invited to play in the Simcha Band. From ages 8 to 80, members of all ages and experience create joyful noise. This is a great way to connect to the KT community. We rehearse Sundays once a month, location and dates TBA! Come see the Simcha Band play and dance with us at these upcoming events! Check out the KT Simcha Band Calendar! 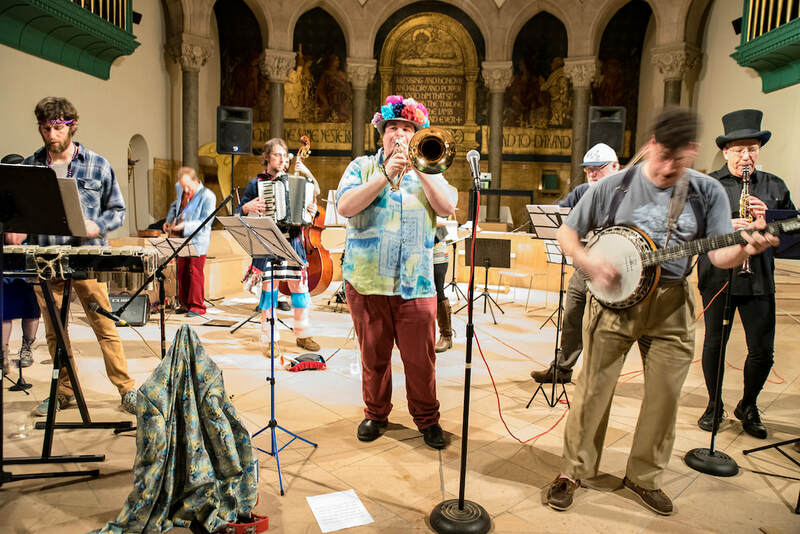 The Kol Tzedek Simcha Band is open to people of all ages and levels of experience. We will work on getting the band sounding great across a variety of Jewish repertoire. These rehearsals are held the Wednesday before a weekend Holiday and are focused on the specific music for each performance. We ask that you attend these special rehearsals if you plan to play in the performance. 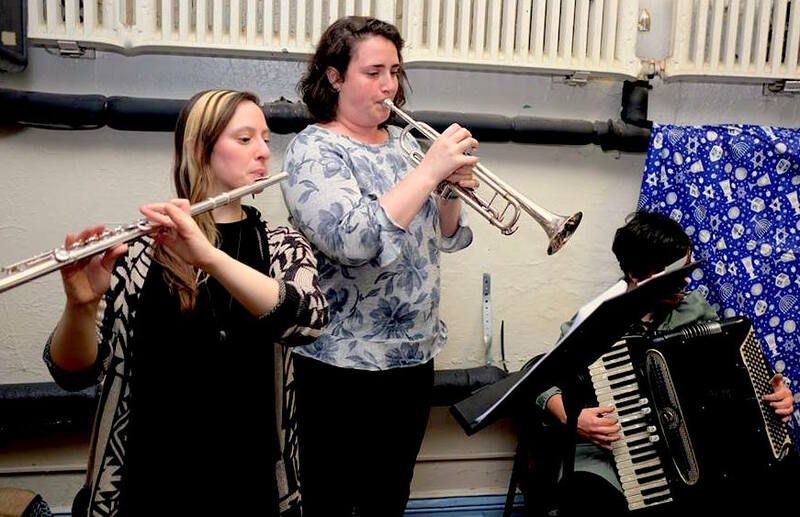 Interested in playing with our Simcha Band? Fill out this form! Please email simchaband@kol-tzedek.org with any questions or interest in joining the Simcha band!